An inherent part of a manager or leader’s role is to coach and develop their people. This article puts forward one type of coaching approach called strengths based coaching. The benefits of focusing on strengths is discussed; its theoretical background an approach that a leader or manager can use to coach his team of people. 1. Why focus on strengths not on weaknesses? ‘People don’t change that much. Don’t waste time trying to put in what was left out. Try to draw out what was left in. That is hard enough.’ (Buckingham & Coffman, 1999, p51). This line was echoed by thousands of great managers interviewed by the Gallup Organisation. Only some behaviours can be learned: This includes skills a person can practise or knowledge one can pick up through a book or an experience (Clifton & Harter, 2003). The best in a role deliver the same outcomes using different behaviours. Weakness fixing prevents failure; strengths building leads to success (Asplund, Lopez, Hodges, & Harter, 2007). The Gallup Organisation differentiates between a strength, talent and learned behaviour. A strength is the ‘ability to provide consistent, near perfect performance in a given activity’ (Clifton & Harter, 2003). Talents are naturally recurring patterns of thought feelings or behaviours. Talents need to be refined with knowledge and skill in order to form strengths (Buckingham & Clifton, 2001). Learned behaviours are activities that people are good at doing but don’t enjoy and aren’t energised by (Linley, Woolston, & Biswas-Diener, 2009). Seligman (2003) refers to strengths as being virtues. Building on both Clifton’s and Seligman’s view, Linley & Harrington (2006) describe a strength as ‘a natural capacity for behaving, thinking, or feeling in a way that allows optimal functioning and performance in the pursuit of values outcomes’. Through extensive research, the Gallup Organisation has found that people operating from strength have increased productivity and engagement (Hodges & Clifton, 2004). This results in increased client satisfaction and profitability. Gallup Organisation research has found numerous benefits for people operating within their strengths. Table 1 summarises the benefits (www.strengthbuilder.com). Speed Learn their role faster and adapt to more variance in their role quicker. Productivity and precision Produce significantly more at higher quality, and they build stronger, more engaging relationships with their customers. 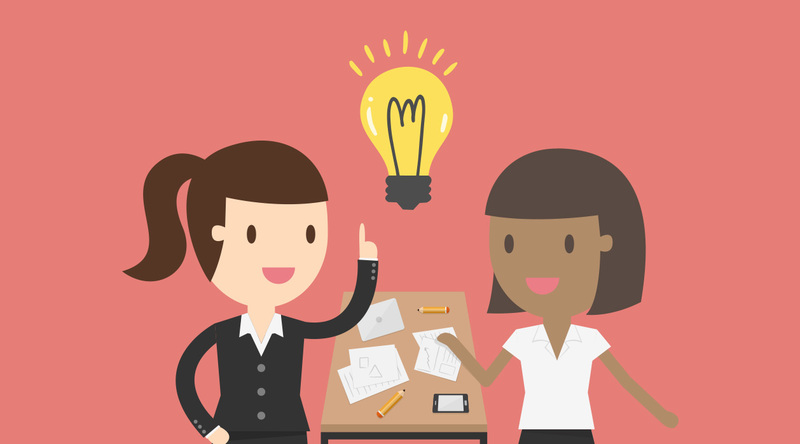 Innovation Are more collaborative and have more positive, creative and innovative moments. Longevity and attendance Look forward to going to work, stay longer, miss less work and tell their friends that they work for a great organisation. Strength Based Development is embedded in Positive Psychology. Humanistic psychologists dating back to the early 1900s, such as Karen Horney and Carl Rogers, believed in self-development of human beings and that inherent in all humans is the ability to reach their potential (Rogers, 1967). However after World War II psychology was largely about healing and repairing damage. Positive Psychology started to gain traction at the turn of the millennium and shifted away from focusing on what is wrong with people to the positive side such as happiness, strengths, hope and resilience. An inherent part of a manager or leader’s role is to coach and develop their people. A strength based coaching model as put forward in Figure 1 can be applied. 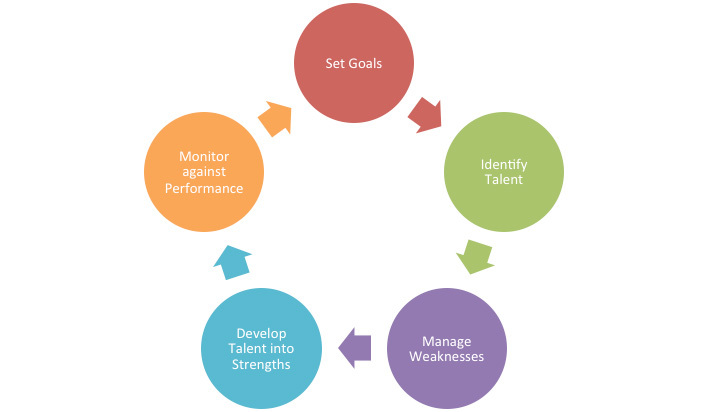 Figure 1: A model for strength based coaching. The model begins with the manager setting goals, outcomes and standards for his own performance as well as for his team or function’s performance. Secondly using the distinction between talents, strengths and learned behaviours, the team members, including the leader, will perform an assessment to identify talents. Thirdly an approach to manage their weaknesses is discussed. The coachee with the manager’s assistance will plan strategies and actions to translate their talent into strengths. Lastly these actions will be monitored and outcomes measured against the set goals. Tools and techniques for each of these areas are discussed in the remainder of this section. As a starting point, performance goals need to be set by the leader for himself and his function. The leader should then sit with each of his team members (coachees) to define their goals. The measure of success should also be explored and agreed upon. This will enable the coachee to set specific goals, and help them understand why they are setting the goals (Biswas-Diener & Dean, 2010). Intrinsic goals and motivation is more satisfying than extrinsic motivation (Ryan & Deci, 2000a). The most widely used strengths assessments are the VIA Strength Questionnaire and the Clifton Strengthfinder. The Values-in-Action (VIA) Strength Questionnaire is based on Martins Seligman’s good life theory. It measures 24 signature strengths under six virtues. Another widely used inventory model is The Clifton Strengthfinder which was developed by Donald Clifton and the Gallup Organisation in 1999 (Buckingham & Clifton, 2001). Thirty four themes of talents are identified via the strengthfinder which need to be validated with the coachee. Linley et al., (2009) refer to a need to manage exposed weaknesses that are causing problems and make them irrelevant. At the core, a leader must admit his weakness, and should not call it a development area. Leaders can assist coachees by examining their role and identifying whether the weakness is something they absolutely have to do. If it is, the leader can explore with the coachee if there is somebody in the team he can partner with to make this weakness irrelevant. Working with the leader to formulate a strength-based team and assigning roles to strengths can alleviate one’s weakness. Finally if these are not options, development activities such as training or job shadowing should be defined in order to manage the weakness. Once themes and talents are identified using the Clifton Strengthfinder, a coaching conversation can be held with the coachee. Ask the coachee what resonates with them from the report and to think of situations where they have used their key strengths. Using the action planning guide available from the Strengthfinder website after completion of the report, allow the coachee to plan how he can use a strength more intently every day for the next week. These should include knowledge and skill needed to develop talent into strengths and should include stretch based assignments. Finally the coach should encourage his coachee to monitor performance. This will help the coachee stay focused on his or her most important performance goals and outcomes. It will also facilitate learning with the coachee, which is one of the main purposes of coaching. Strength Based Coaching has many benefits, employee engagement and productivity being of the most interest to executive coaches. This article explores the theory behind strength based coaching via humanistic and positive psychology. Sports psychology has also had an influence on strength based coaching. Many authors are calling for a revolution in this strength based approach not only in coaching but also in leading. SizweNtsalubaGobodo is a proud Partner of the National Small Business Chamber (NSBC). Asplund, J., Lopez, S. J., Hodges, T., & Harter, J. (2007). The Clifton StrengthsFinder® 2.0 technical report: Development and validation. The Gallup Organization, Princeton, NJ. Biswas-Diener, R., & Dean, B. (2010). Positive psychology coaching: Putting the science of happiness to work for your coachees: John Wiley & Sons. Buckingham, M., & Clifton, D. O. (2001). Now, discover your strengths: Simon and Schuster. Buckingham, M., & Coffman, C. (1999). First, break all the rules: What the worlds greatest managers do differently: Simon and Schuster. Csikszentmihalyi, M. (1991). Flow: The psychology of optimal experience (Vol. 41): HarperPerennial New York. Csikszentmihalyi, M. (1999). If we are so rich, why aren’t we happy? American psychologist, 54(10), 821. Gallwey, W. T. (1974). The inner game of tennis: The classic guide to the mental side of peak performance: Random House. Hodges, T. D., & Clifton, D. O. (2004). Strengths-based development in practice. Positive psychology in practice, 256-268. Linley, P. A., & Harrington, S. (2006). Strengths coaching: A potential-guided approach to coaching psychology. International Coaching Psychology Review, 1(1), 37-46. Linley, P. A., Woolston, L., & Biswas-Diener, R. (2009). Strengths coaching with leaders. International Coaching Psychology Review, 4(1), 37-48. Rogers, C. (1967). On becoming a person: A therapist’s view of psychotherapy: Houghton Mifflin Harcourt. Ryan, R. M., & Deci, E. L. (2000a). Intrinsic and extrinsic motivations: Classic definitions and new directions. Contemporary educational psychology, 25(1), 54-67. Seligman, M. E. (2003). Fundamental assumptions. Psychologist, 16(3), 126.